If you would like to receive transcripts and messages in Fogbugz then follow the steps below. 2. Click on the FogBugz Icon. 3. Enter the server address, email of the account, and the password. 6.Select how you would like your chat transcripts to be sent (Automatically, only with valid visitor email address, or to not send). 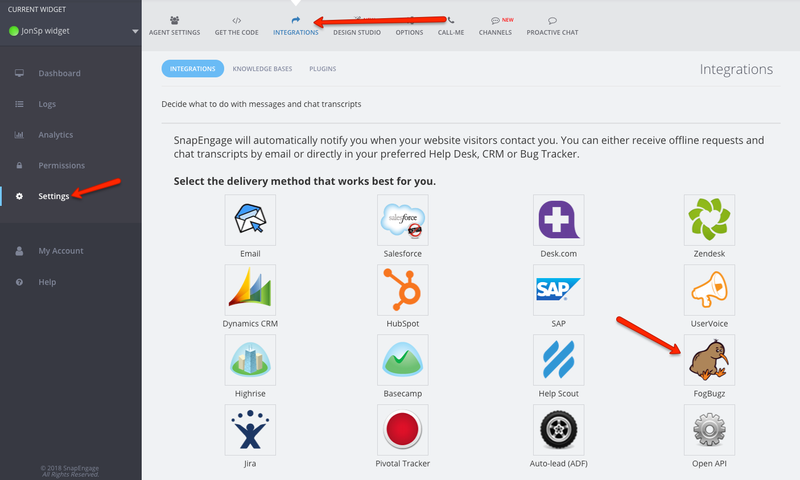 Next, you will select if you would like the email to be sent on the visitors behalf or from SnapEngage.